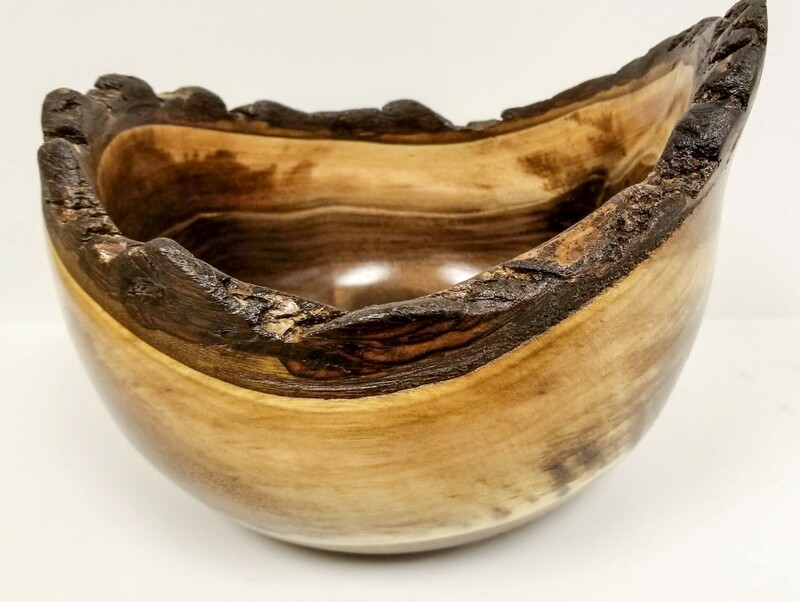 6.5" x 7.5" x 8.25"
This solid wooden bowl was hand-crafted from a single piece of wood from trees in the Midland, MI area. Each original piece has a grain that may contain knots or other features that reflect the wood species, climate, and growth conditions. This piece highlights the contrast between the light colored grain and the dark colored grain. The hand-rubbed finish used on this bowl is non-toxic and food safe. Do not use for hot liquids or in the microwave, dish washer, or oven. Clean with a damp cloth and mild detergent, towel dry.